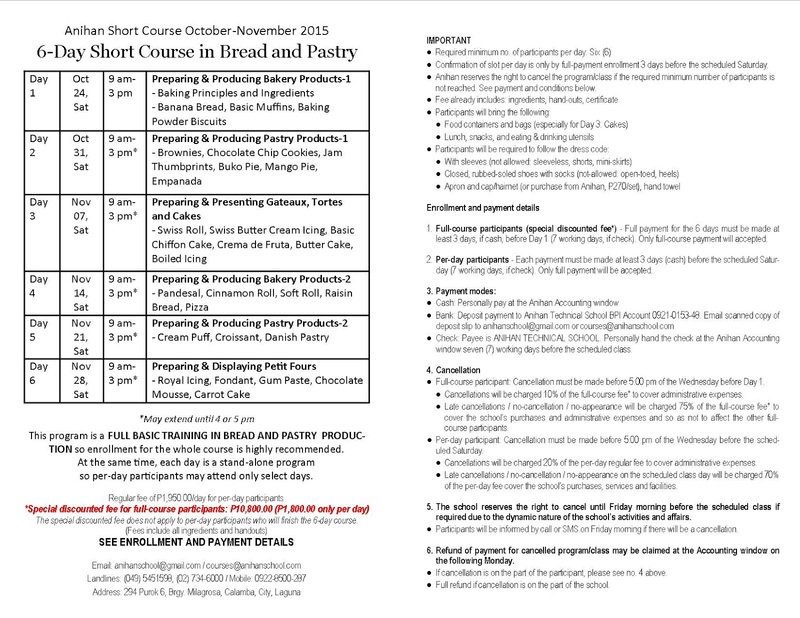 A short course in bread and pastry will be held in Anihan Technical School from October 24 to November 28, 2015 (Saturdays only). 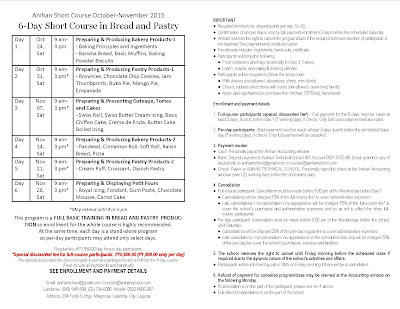 This program is a FULL BASIC TRAINING IN BREAD AND PASTRY PRODUCTION so enrollment for the whole course is highly recommended. At the same time, each day is a stand-alone program so per-day participants may attend only select days. A regular fee of P1,950.00/day is charged for per-day participants. There is a special discounted fee of only P10,800.00 (P1,800.00 only per day) for those who will enroll for the whole course (one-time payment for all six days). This special discounted fee does not apply to per-day participants who will finish the 6-day course. All fees (regular and discounted) already include ingredients and handouts.